Ready-to-cook boxes are sizzling in popularity within Canada's food industry, but despite being a $150 million market, profitability appears to be on the slow-cooker. Chefs Plate, one of more than a dozen such companies in Toronto's crowded market, surpassed $50 million in revenue last year. But although it had raised the possibility of going public this year, it's still waiting to be profitable. Its competitor Montreal-based Goodfood Market saw its revenues reach $19.8 million in 2017, seven times more than the previous year. Vancouver's Fresh Prep also had its revenue increase sevenfold over the same period. But despite their growth, the companies are also operating at a loss. 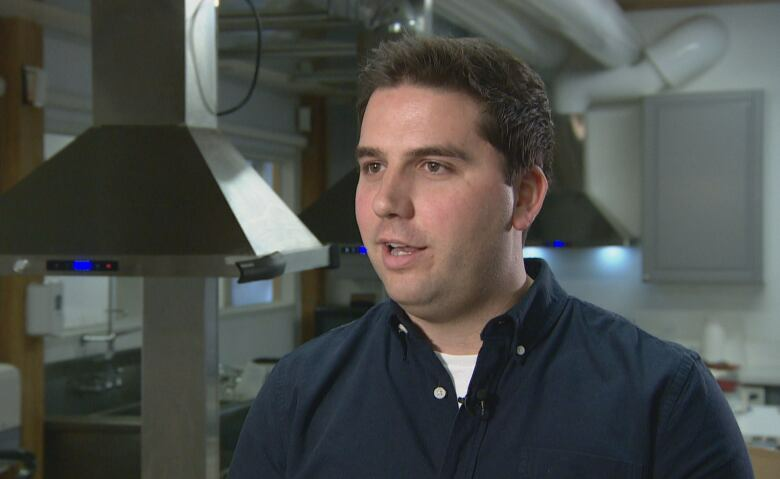 "It's actually really easy to market and acquire new customers," said Chefs Plate CEO Jamie Shea. "What's really hard is to get them coming back and that's not just something you can do overnight." The co-founder of the Goodfood Market, Jonathan Ferrari, agrees. He says profitability will come soon and is investing significant amounts to prepare for it, particularly with the expansion of the business in Western Canada. 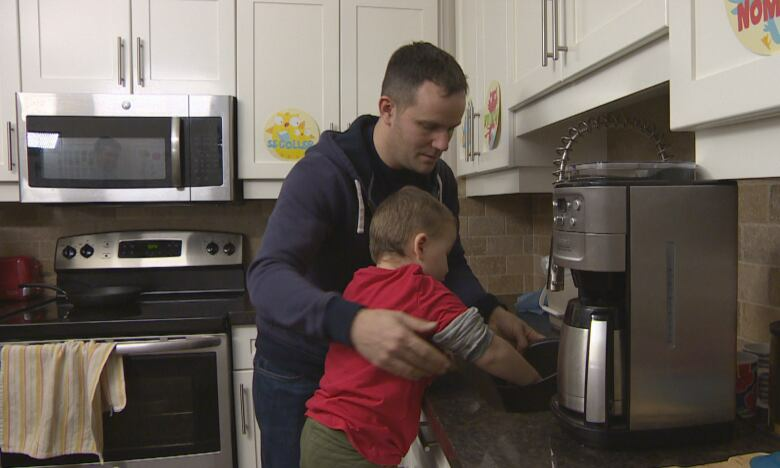 "In the next five years, we expect to exceed $2 billion in sales for the ready-to-cook market in Canada," he said. That's if customers keep coming back. Vincent Hachey is a former Chefs Plate customer, who decided to cancel his subscription last month. He says the experience was good and bad. Good because it gave his family new recipes and cut down on their shopping time. But with a three-year-old at home, what should have been 30 minutes of prep time more than often turned into over an hour. That left Hachey often trying to prep the night before, meaning his cooking was stretching over two days. Plus, there's all the packaging to deal with. "Once you've prepared a meal, you kind of look back at the counter and you see this big volume of waste. And you have to wonder, does the company realize that they're contributing so much garbage?" While most of Chefs Plate's packaging is recyclable and biodegradable, Hachey found himself having to put out extra recycling boxes to deal with all of the boxes and wrapping. Shea says a certain amount of packaging is necessary to ensure food safety, but that the company is looking to improve on that. "To continue to improve our environmental impact, we would see in the future having packaging that can be reused," says Ferrari. 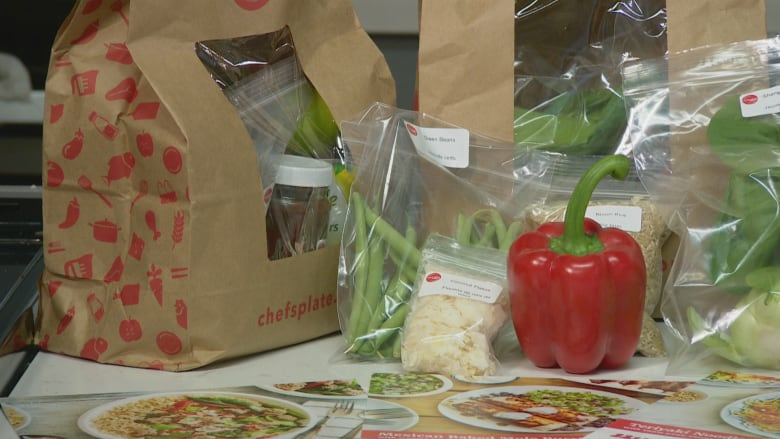 The Montreal-based company Cook It says they already offer to pick up boxes from customers in the Greater Montreal area. Sylvain Charlebois, a professor of food policy at Dalhousie University, says he finds it "unusual" for many companies to spend nearly a quarter of their marketing revenue on attracting new customers. He points to the disappointing IPO of Blue Apron in the United States last June, which had to conduct lay offs months later. Charlebois believes that few companies will survive in the Canadian market and that some of them could even be bought by grocers, who are looking to diversify their offer. Signs that traditional grocers want in aren't hard to come by. Last August, Metro bought a majority stake in meal-box company MissFresh. Others already offer home delivery or grocery pickup options. But until that happens, convenience is sure to remain a big draw. At least it has been for Mireille Boivin, who works long hours and wasn't eating very well until she became a meal-box customer. "I was eating cereal almost every day for supper. And so to have the option to have these meals where the groceries are done already, everything is pre-measured and I just have to cook — it seemed like a good idea," she explained.